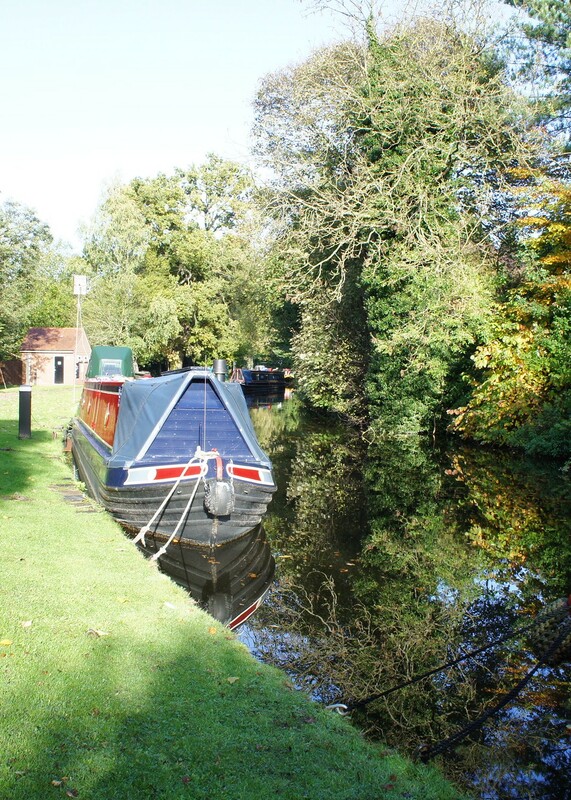 Kinver is a delightful village situated close to Stourport on the banks of the Staffordshire & Worcestershire Canal. The surrounding sandstone hills, the Kinver Edge Country Park and easy-walking trails attracts many visitors in the summer. The towpath site provides space for up to 38 vessels in total, some with electricity and some without. The mooring site is approx. 200 metres above Kinver Lock, to the north west of Bridge 29 (Dunsley Road). From the A449 turn off towards Kinver and head for the village. You will approach the Vine pub and a canal bridge. After the bridge turn immediately right into the entrance where you will approach a padlocked gate. Follow this drive until you arrive at the car park. A shared electricity stanchion is adjacent to the mooring space. These are fitted with smart meters that supply electricity by pre-payment using an on-line account. The facilities building is adjacent to the car park. The water point is on the towpath. Car users will need a key to enter the site. Keys can be purchased from the office at Cambrian House for a refundable deposit of £50 pounds. Refunds will be given when the key is returned with a valid receipt.